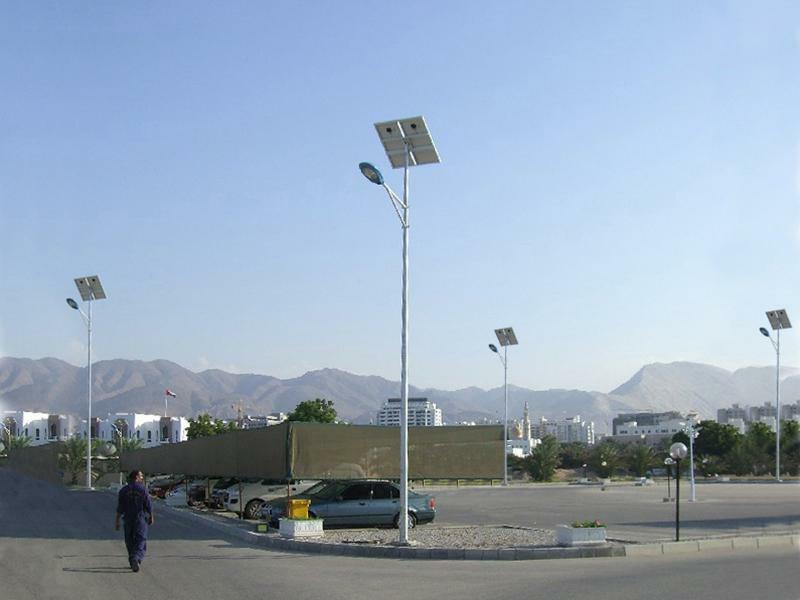 Description: Oman government solar lighting project purchased over 400 lights in total which made a big splash in local area. Description: The full length of the national highway 104 is 2420 kilometers. 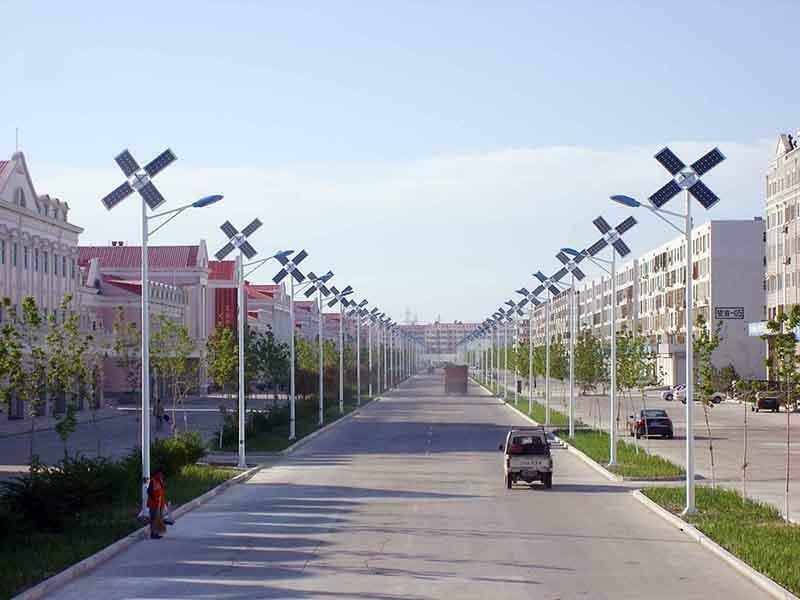 And the total number of installed solar street light is 314. Description: The Xisha Islands is at the southernmost point of China, featuring harsh weather conditions. 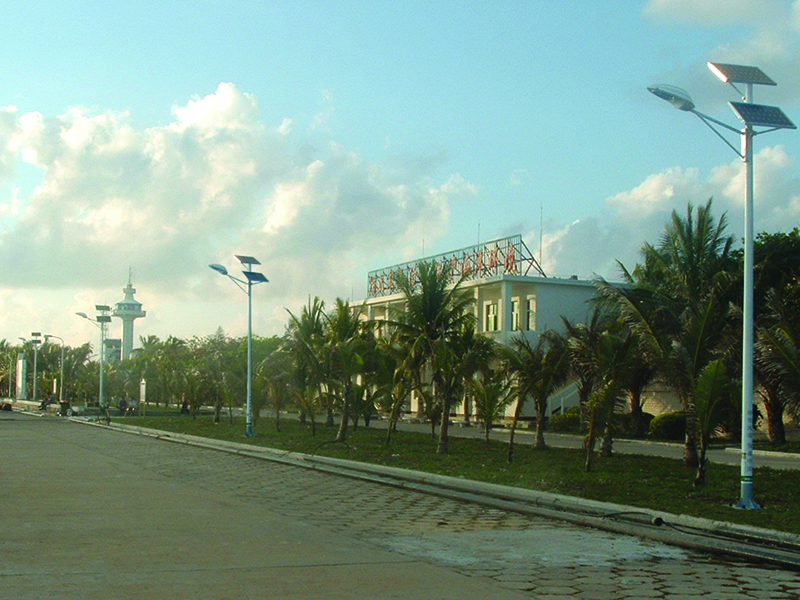 The environment there has three features: salty, wet and typhoon prone. 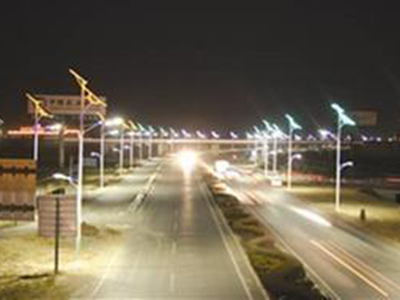 So it is strict on various performance indexes of the lights. Himin solar street light and solar garden light, after three years of running, stood the test of local harsh environment. 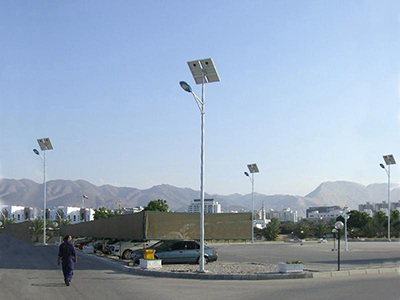 The using performance is quite good so they are widely appreciated by local army and residents. 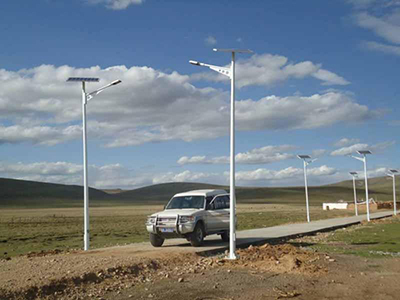 Description: Shigatse, Tibet features rarefied air, low air pressure, less oxygen and long sunshine duration, so Himin recommended HZL-30 solar street light. 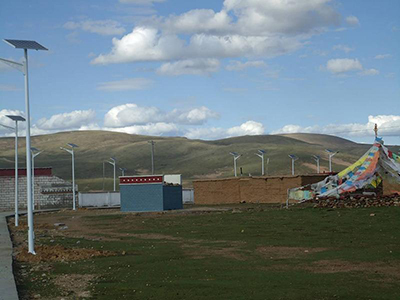 This project, the first illuminating project in Tibet, included over 3000 solar street lights. In 2010, 2011 and 2013, the photovoltaic business department of Himin undertook the solar lighting project in Shigatse, Naqu, Ihoka, Qamdo and some other places. 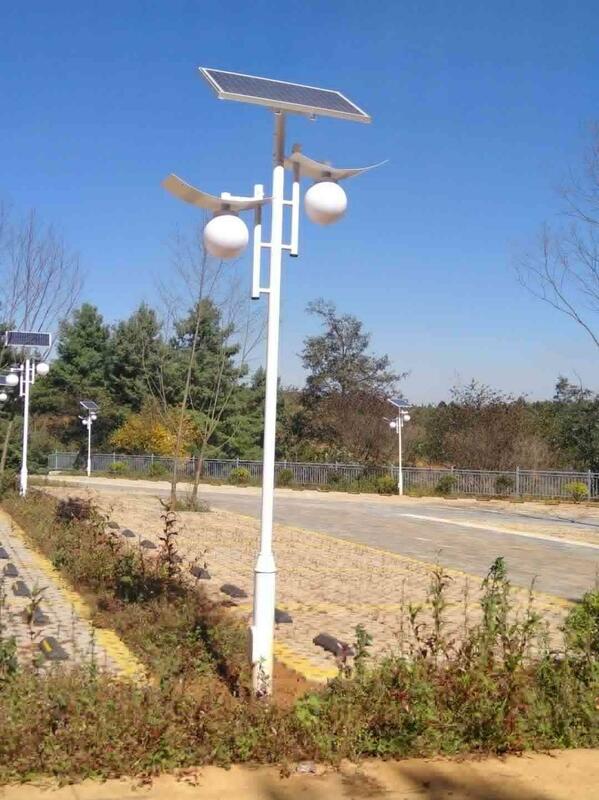 Description: The solar street light and landscape illuminating project design in green city square, Dezhou city since 2008 adopts integrated solar powered light, solar landscape light, solar street light, solar garden light and solar lawn light of which the total number is over 300. This project was finished in May, 2009, becoming the demonstration project of energy conservation and emission reduction in Dezhou city. 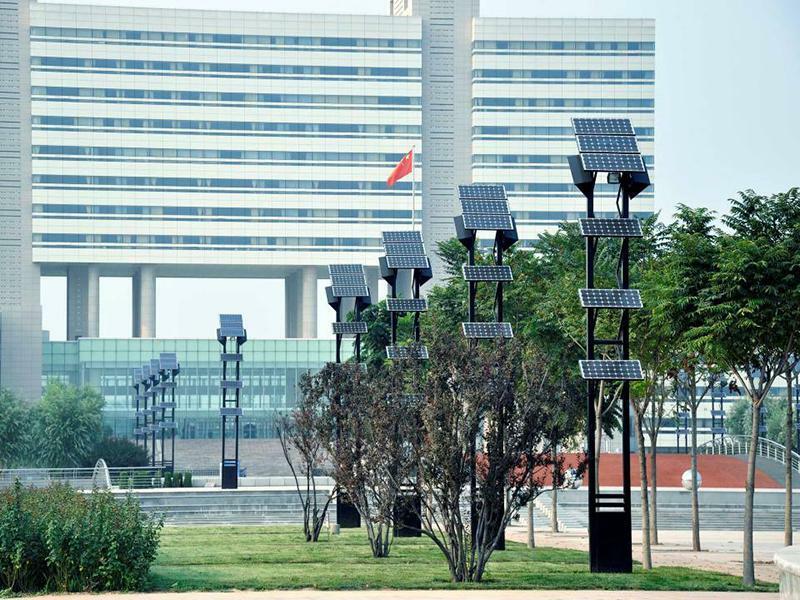 It is also another great action to build the city card of Solar City in China. Description: The natural park in Langfang is the only natural landscape garden within the city. 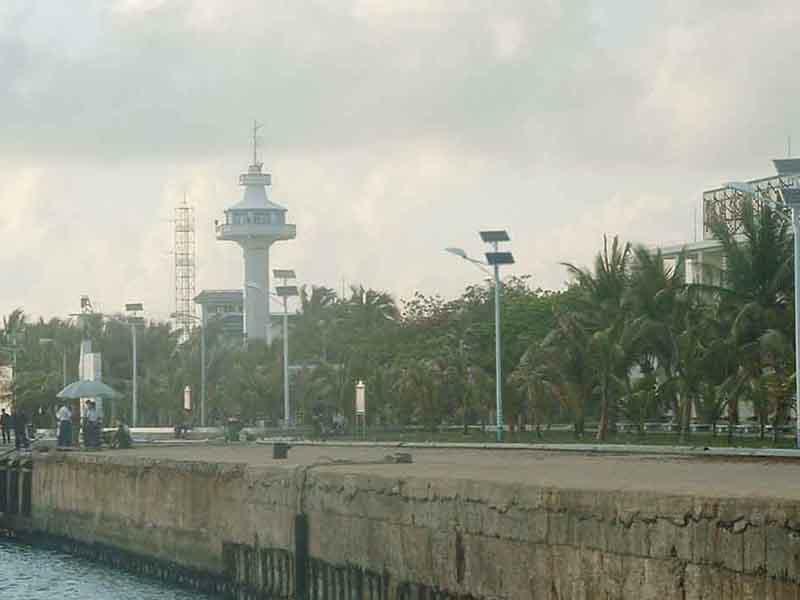 You can visit it for free. 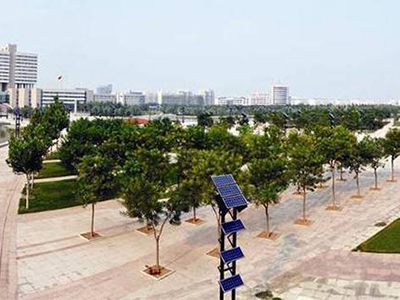 It is located at the south of the railway at the cross of Guangyang road and Xichang road, northwest of the downtown. 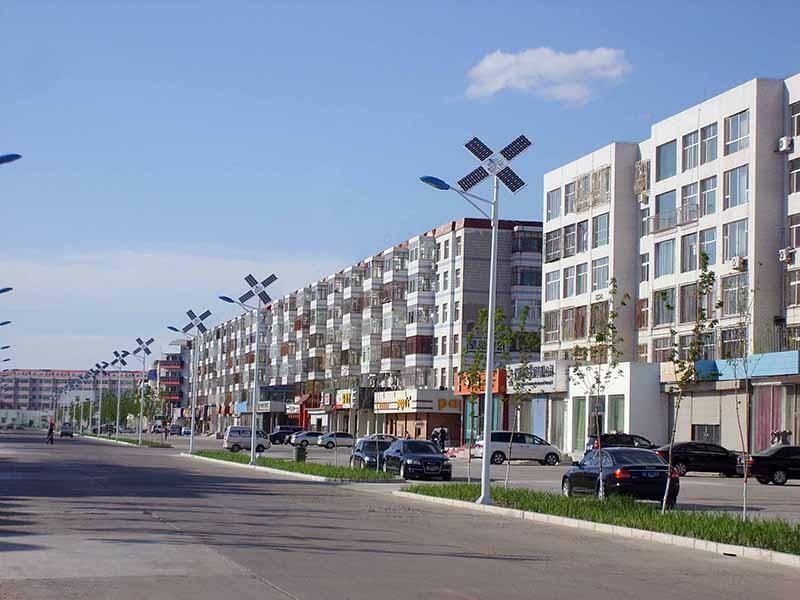 The illuminating project was undertook by Himin. 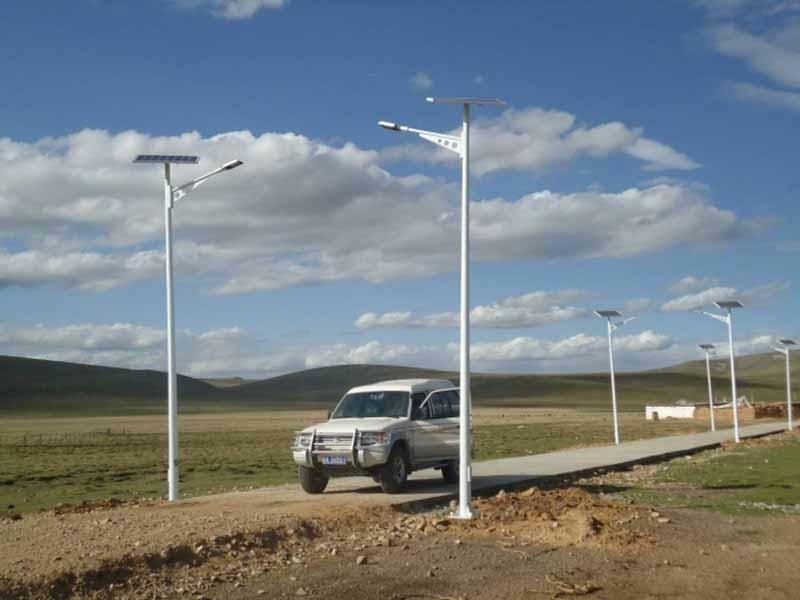 The total number of the installed solar street light is over 350. 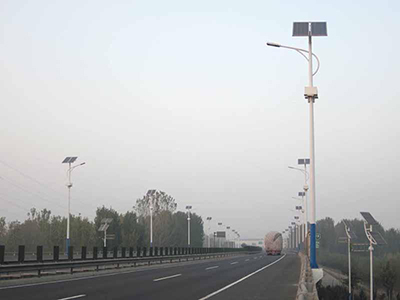 Description: The full length of Kangbo road is 21 kilometers. 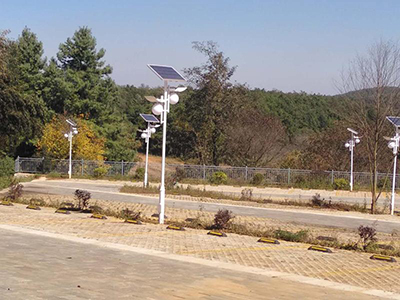 The total number of installed solar street light is 200. 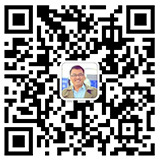 The operation condition is quite good now. Description: The illumination project of Beijing-Taipei High-speed Railway was fully enabled in 2009. The main functional lighting is 15.1 kilometers in length which was undertook by Himin. 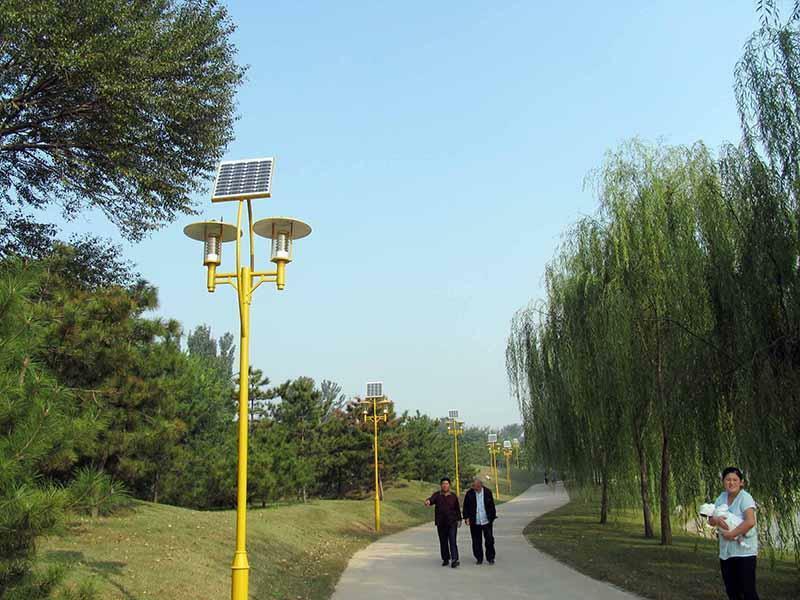 The total number of installed solar street light is 755. 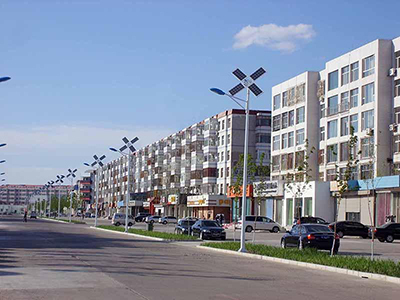 Description: Naqu is quite cold and lacks of oxygen. The weather is quite dry. And the number of date with severe wind is about 100. 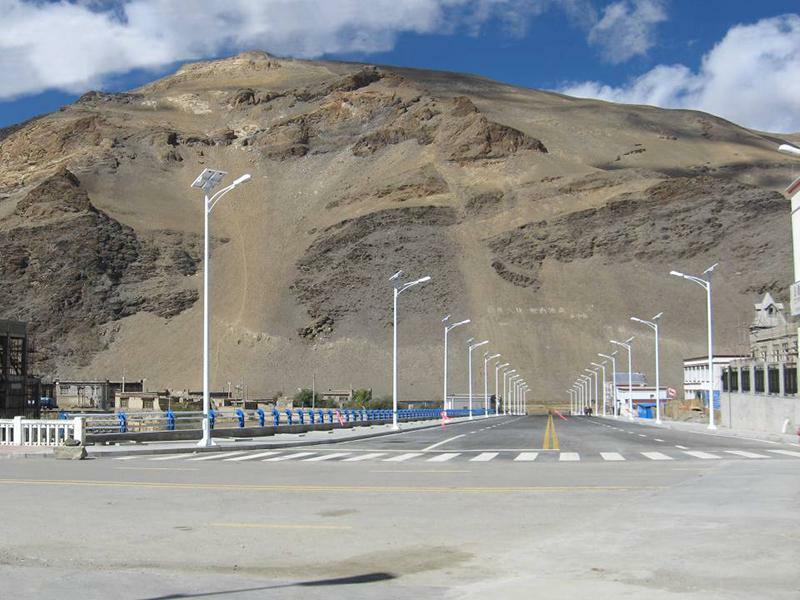 The average temperature for a year is -2.1℃. 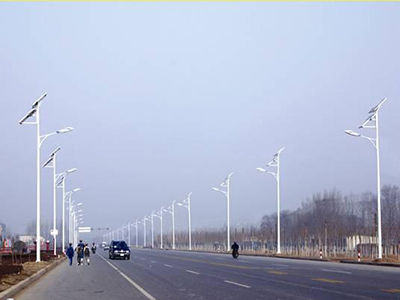 So the insulation performance of the selected light should be relatively superior. 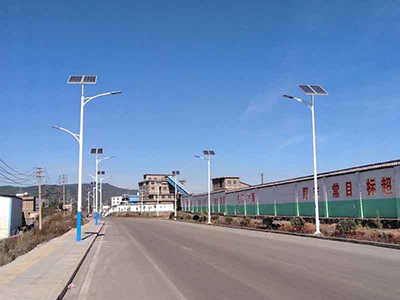 Himin recommended HZL-56 solar street light. The total number of the installed solar street light of the whole project is over 2000. 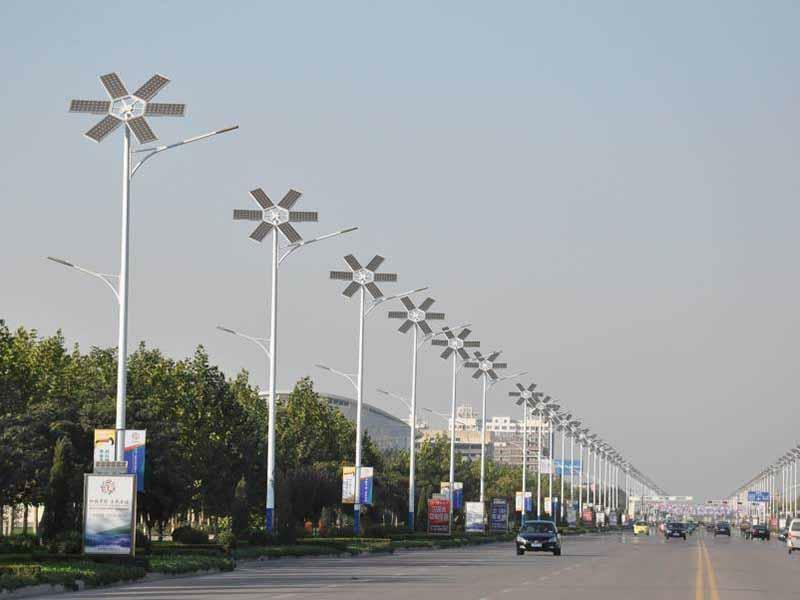 Description: The largest solar energy street lamp lighting project in Heilongjiang province is on the Ranghu road, Daqing city. The full length is 3.4 kilometers. The total number of the installed solar street light is over 180. 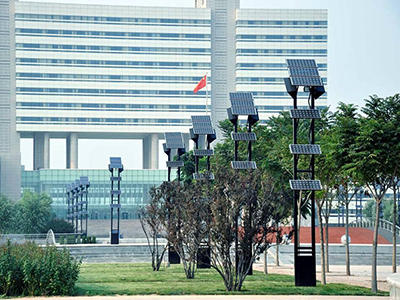 Description: Baishui county has sufficient sunlight which means rich solar-thermal resources, so it is suitable for application of solar photo-thermal and photo-electric products. Solar illumination project in Baishui industrial park was accomplished by Himin in 2017. 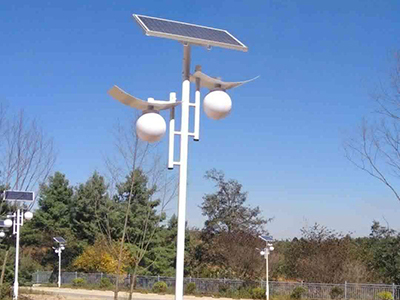 The total number of installed solar street light is over 200. 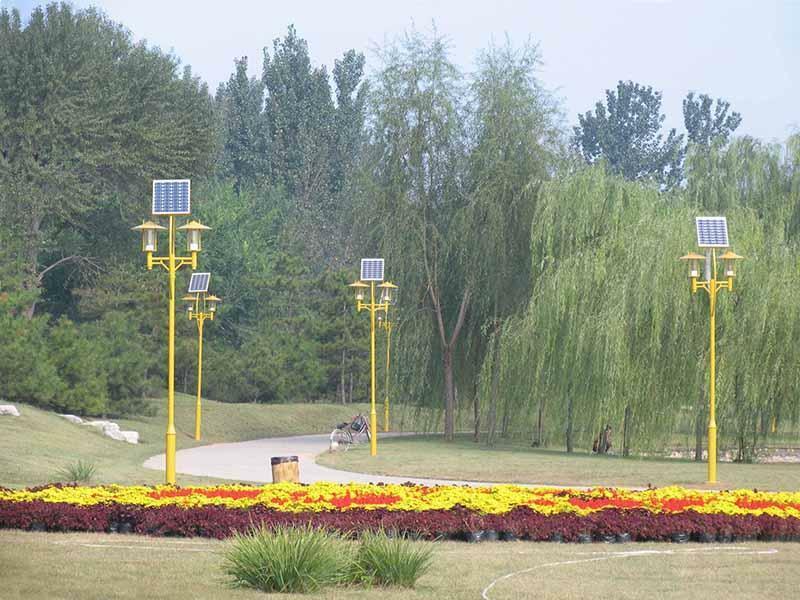 Description: The forest valley project is located in Xiangshan forest in Zhanyi district Qujing city. 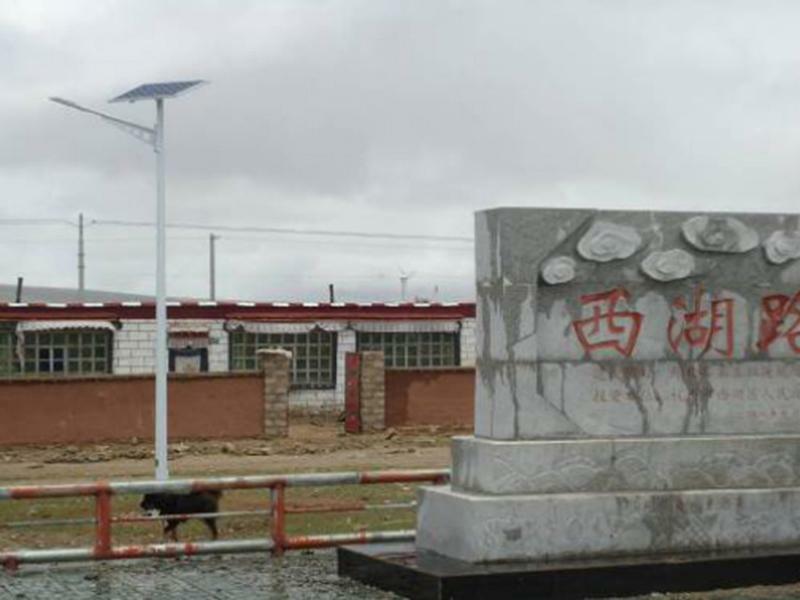 It is in the Pearl River source scenic reserve with convenient transportation. 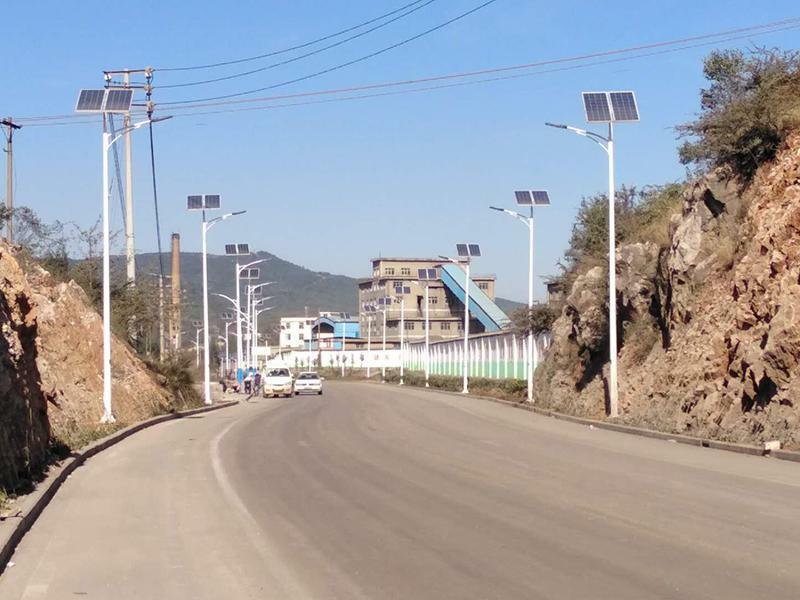 Solar lighting project in the forest valley in Yunnan was accomplished by Himin in 2017. The total number of the installed solar street light is over 400.